Age no bar: Fawad Khan to romance Aishwarya Rai Bachchan? 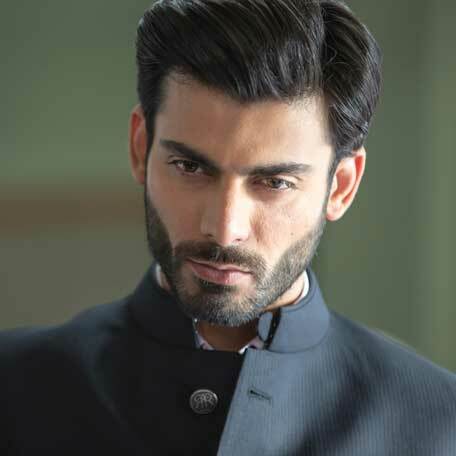 Fawad Khan, the popular face of Pakistani TV, has charmed Indian audience with his show 'Zindagi Gulzar Hai'. And with 'Khoobsurat’ the shy and reticent Pakistani actor became an overnight star in urban India, especially among women. Khan who had an average grosser in the form of the much hyped 'Khoobsurat' seems to be one whose acting abilities and looks are being appreciated. Not just Indian women, Khan has become a hot favorite among filmmakers in Mumbai as well. Bollywood latest heartthrob seems to be on the wish list of many directors and the latest buzz has it that he will be seen romancing none other than Aishawarya Rai Bachchan in producer Karan Johar's 'Ae Dil Hai Mushkil'. Rumours are rife that 'Khoobsurat' actor has been approached for the film, which also stars Ranbir Kapoor and Anushka Sharma. Fawad also became the first Pakistani to win the prestigious Filmfare award in the Best Male Debut category. While Karan Johar decided to cast Ranbir and Anushka after he saw their chemistry in 'Bombay Velvet', he admitted he has always wanted to work with Aishwarya Rai - right from 'Kuch Kuch Hota Hai' and 'Kabhi Khushi Kabhie Gham' to 'Kabhi Alvida Naa Kehna'. Johar, famous for directing teeny-bopper romance is treading on a different path with ‘Ae Dil Hai Mushkil’, an unconventional love story. 'Ae Dil Hai Mushkil' is set to release on 3 June 2016. The film will be a love story and is expected to be shot in New York, Paris and parts of New Delhi.